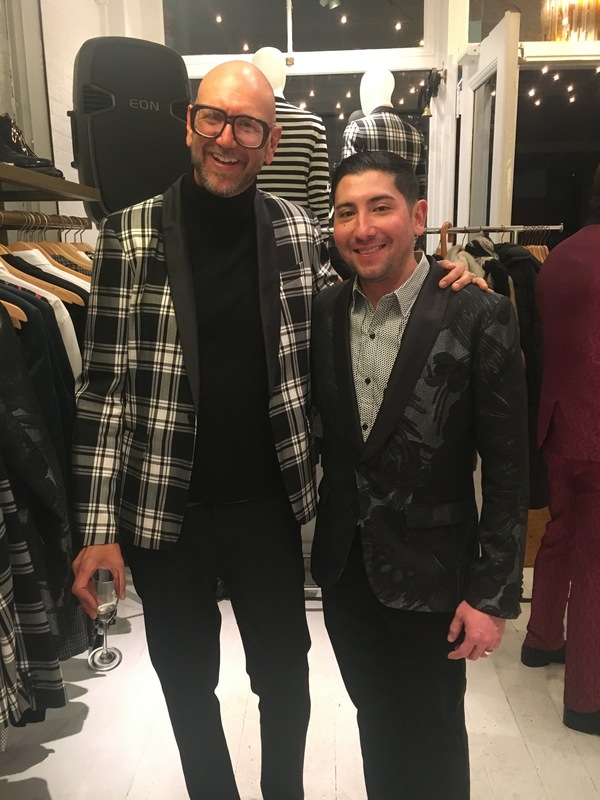 I couldn’t pass up the invitation this past Tuesday to attend the Mr. Turk event at the Trina Turk & Mr.Turk boutique. The ‘Print’ extravaganza, as I like to call it, was held in NYC’s Meatpacking District on Gansevoort Street. There was enough unique eye candy to go around! Literally, everywhere I turned there were prints on everything! Skirts, bags, shirts, shoes, pants and jumpers. With multiple stars in the atmosphere, one concept was the brightest of the night; The blazers! They had every print that you could imagine. If you’ve been looking for a new favorite suit, we just found your destination! You can thank us later. Take a peek below. After basking in his glory I raced to the man of the hour’s side to ask a few burning questions. Me: When you were first starting to think of a brand and what it stood for, how did this brand come about? Mr.Turk: Well, it came about actually pretty naturally. We opened a store- a women’s store in Palm Springs in 2002. We only sold women’s clothes but we had a lot of guys come in and wanted to buy something so we started doing Trina Turk for men. We used the fabric that we had and it was pretty much tailored towards that palm springs- going to cocktail parties,going to pool parties and that was when I was spending a lot of time out there and I was into that whole lifestyle! I have always been attracted to the idea of the 60’s and 70’s and people really seem to appreciate that aesthetic so we started doing that. A wonderful lady then came up,said excuse me and gave him a warm hug! Everyone was embracing his work and his aura. Mr.Turk: So yea it kind of just developed as a thing out in palm springs. It became very popular, we then changed our name to Mr.Turk, then we got more and more business coming in.So then we decided to expand this out.It was a combination of my aesthetic and this idea of a Palm Springs lifestyle. Me: Wow! That’s Perfect! So what have been your most memorable moment while on this journey? Mr.Turk: Well I guess the most exciting one was when- do you know who Macklemore and Ryan Lewis is? 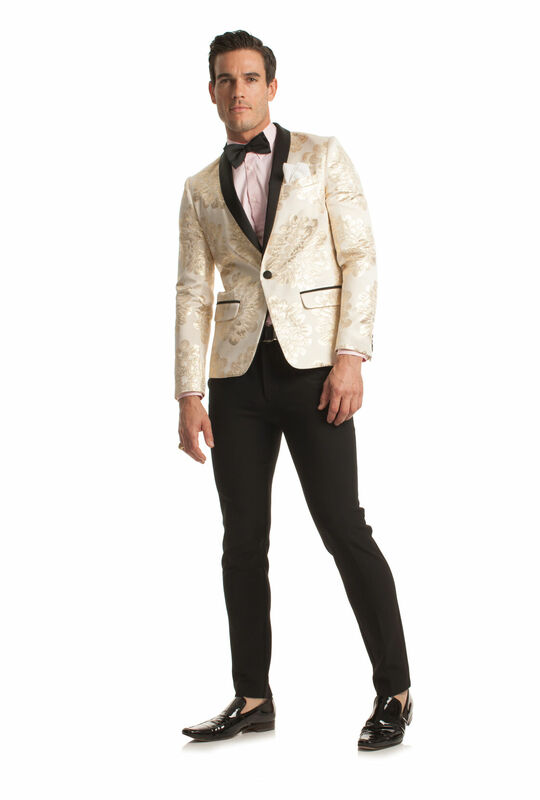 Mr.Turk: The year they won four Grammys, Ryan Lewis wore our suit. So every time he kept winning a Grammy, they kept on getting up and I was like “Oh my God! That’s my suit!” It was great! Me: That’s Amazing! What is your favorite piece here today? 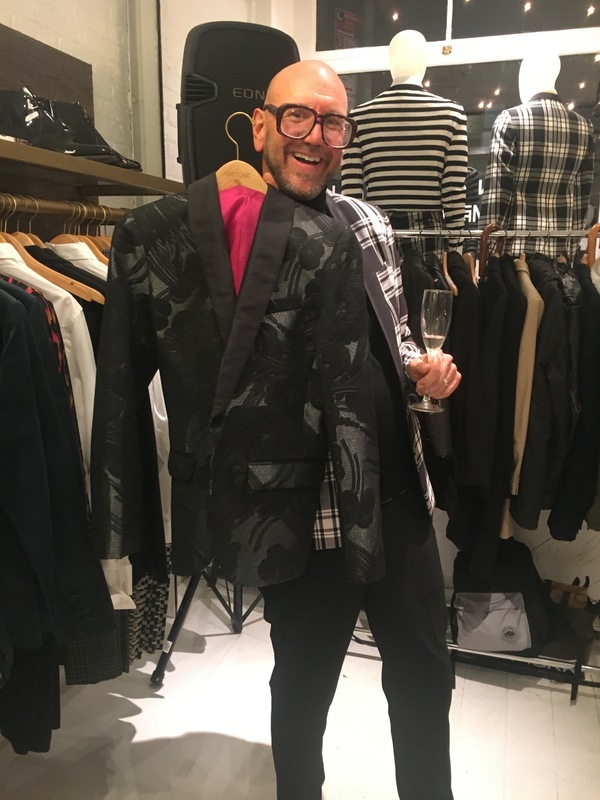 Mr. Turk’s favorite piece is the Alfred Tux Blazer. Here you see it on his friend Chad. 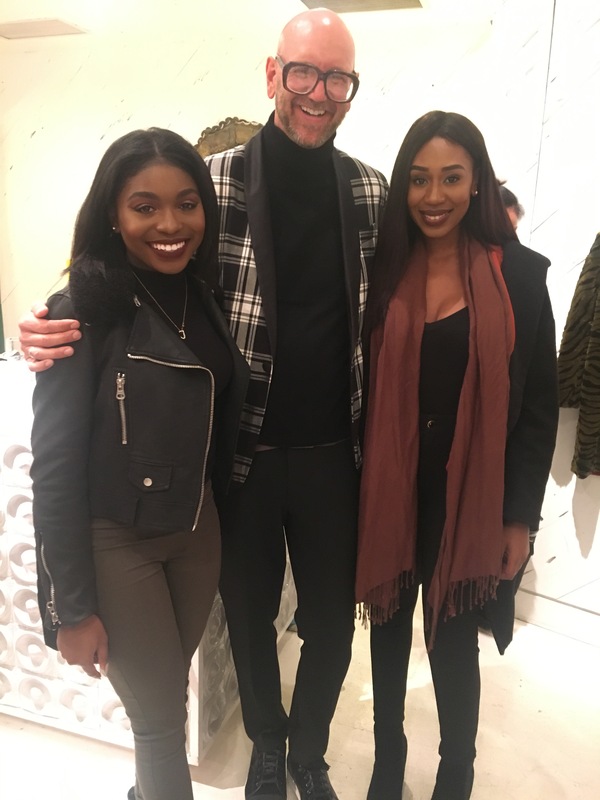 He styled the statement blazer with the colors black and gray. We want to thank Mr.Turk for allowing us to experience the Palm Springs lifestyle in a New York Minute.